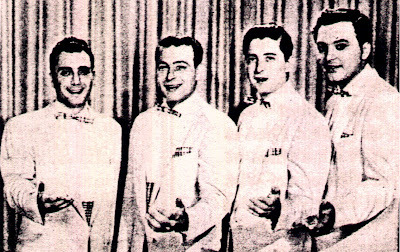 In 1953 in Philadelphia, Nick Catucci and Joe Ardire started their vocal/band under the name of The Four Clefs. 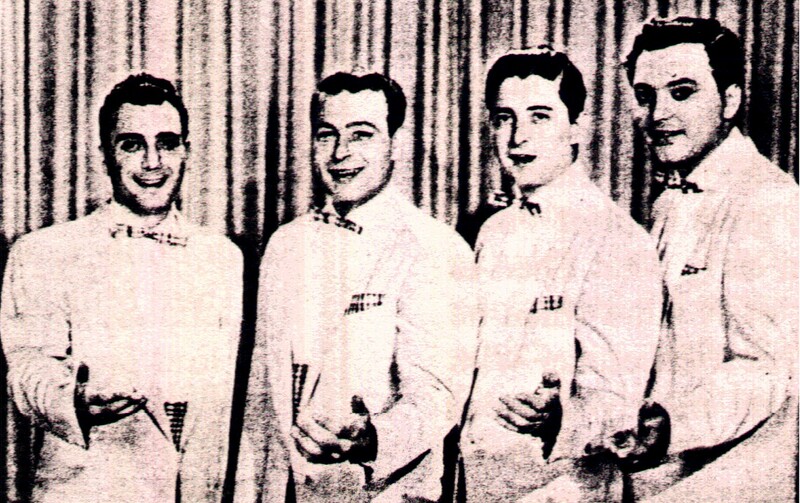 They participe in many shows with their Four Freshmen vocal sound style but as the public confused the group with the popular group The Three Clefs they changed their name to the Four Of A Kind. 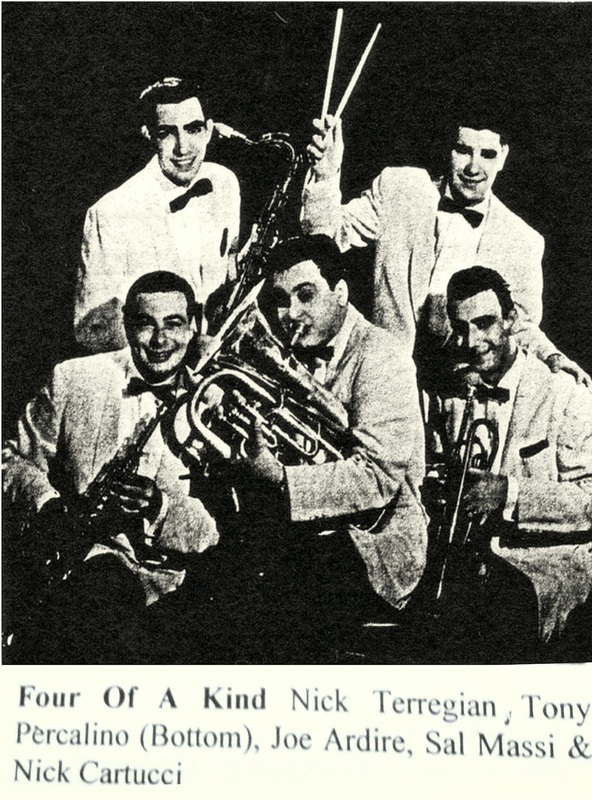 In 1955 the group consisted of Sal Masi(Lead),Nick Cartucci(1st Tenor),Mike Goida(2nd Tenor) and Joe Ardire(Bass) other members of the group in some time were Nick Terregian and Toni Percalino. In 1957 Melba released_Fools Fall In Love/Dreamy Eyes. (B Side originally by The Squires) without success the group returned to Philadelphia where recorded in 1958 for Bob Marcucci’s label, Chancellor Records the sides_Buttercup/It’s Better That Way. But again without any success. The group add a sax man and now were know as the Four Of A Kind (Plues One), sining in many shows around the country and in early 1959 signed with Cameo Records where recorded_You Were Made To Love/Lovely Every Moment. And in the late of the year_I Care For You/It’s Better That Way. On the Bomarc label. Below; Nick Terregian,Joe Ardire, BOTTOM; Sal Masi, Tony Percalino and Nick Catucci. Finally release were in 1961 for the Russ Faith and Herb Gordon label Rex Records with the sides_Next Fall/U-Turn Baby. Without a pop sound, without a rock & roll sound, without a R&B sound they recorded for five years and other groups failed to recording. 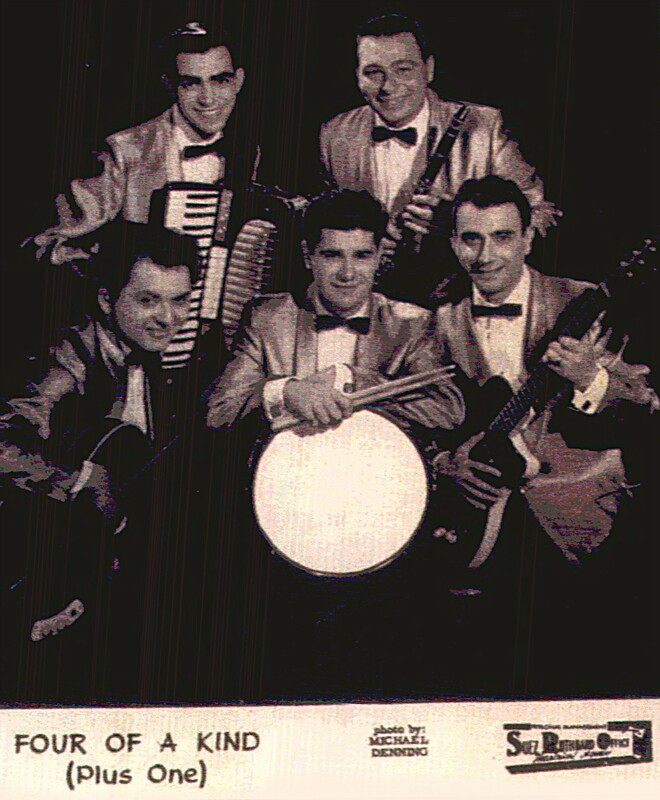 Later Sal Masi recorded for Kelly and Rello Records. -She Wont Go Steady/What'll I Do. Rex Records-1961. By Ronnie Booker & The Boardwalkers(Joe Ardire involved with this group).